I have launched quite a few products over the years and some crazy things have gone wrong, from payment buttons not working to servers going down just as my product went live. I also once got hit with a $2500 bill because I didn’t prepare properly. Because of this I have devised a pre launch checklist that I adhere to every time I launch a product. If you plan on launching a product anytime soon hopefully this 12 step pre launch checklist will help you avoid any disasters. 1. Test Your Sales Process. Make sure you check your sales process is working correctly, if you have any upsells or downsells in place check every permutation so you know the right product(s) are getting delivered to the customer after purchase. The last thing you want is tons of support tickets from angry customers who haven’t received their purchase. Or worse still a payment processor that doesn’t work. So make sure everything is running smoothly before you go live. It is crucial you test your product thoroughly, make sure your thank you page looks OK, your videos play, your download links work, your eBooks display correctly. 3. Check Your Resource Links. If you make any recommendations from within your product you should be using affiliate links when you can. After all if you can recommend a product or service that you use you should get paid for the recommendation. If you do this make sure you test your affiliate links are working correctly so you get paid. My advice is to use a redirect such as www.yourproductname.com/recommends/product as you can always change/edit links if you need to without having to update your product. 4. Perform a Multiple Browser Check. Just because your website looks OK in Internet Explorer doesn’t mean it will look OK in Firefox, test your product in the big 4 browsers. Internet Explorer, Firefox, Chrome and Safari. It’s very easy to misspell a word and not see it yourself so make sure you get someone else to go through all of your product to check for errors. This is a good job for a family member. 6. Check Your Opt-In Forms. Are all of your opt-in forms working correctly? They are, good! Did you check them in multiple browsers? Thought not. Check your opt-in forms are working in all browsers and check the initial email gets delivered. 7. Update WordPress And Plugins. If you are using WordPress to launch your product make sure it’s up to date, also make sure all of your plugins are up to date. Back up before updating, the last thing you want is your sales page disappearing 3 hours before you go live because you messed up an update. 8. Check Your Membership Access. If you have a membership site check access is granted after purchase. Make sure the correct member levels are granted depending on the product(s) bought. 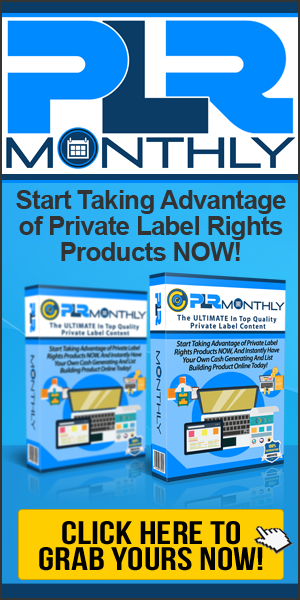 The last thing you want to do is give platinum level access to someone buying your basic level access product. 9. Check Your Affiliate Program. Make sure your affiliate links are working and clicks are registering with affiliates. If you have an affiliate page or JV Blog check everything is OK, make sure that the correct promo tools are in place and it’s up to date. Proofread your promo tools as errors here look sloppy. 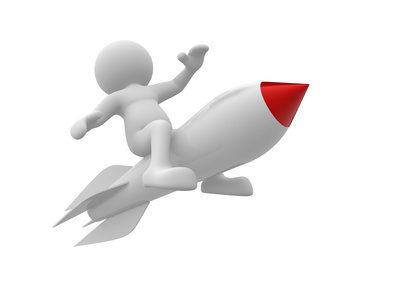 If you are running a launch competition make sure you update your page daily. 10. Check Your Hosting Package is Suitable. I once got hit with a $2500 bandwidth bill because I had the wrong package and went over my limit. Most hosts will shut you down if you exceed your bandwidth limit so contact your host beforehand and make sure your hosting package is suitable. 11. Check Your Support System. Make sure your help desk is working and if necessary add a new department to reflect your new product. Test the ticket system is working and if you use email for support test everything is working OK. The last thing you need is angry customers mouthing off on Forums and Facebook because they can’t get hold of you. Get other people to do the testing for you. The more testers you can get the better as this means there is less chance of something slipping through the net. To get beta testers beyond friends or family members try offering your product for free to trusted people on forums and Facebook friends in return for checking everything out. This is also a great way to get testimonials for your product. By covering these 12 steps you should have a smooth launch and instead of running around like a headless chicken when your product goes live hopefully you’ll be sitting watching the sales come in. As always feel free to like, share and leave a comment. 29 replies to "Avoid a Product Launch Disaster With This 12 Step Pre Launch Checklist"
Great stuff, thanks for this John. I’m doing a launch myself in about a month and will definitely have this pinned to the wall by my desk to check it before I start running the launch. Thanks JT, this should come in very handy for my bloggersroadmap.com launch on Monday. I think I have all of this covered, but a check through list is always a bonus! Very timely advice, I have found to my cost that in the rush to get the product out there that it is easy to miss out on or skimp on some of the steps. I live print this off and put it on my notice board in front of the laptop. Ditto what Dan said; a great heads-up and couldn’t have come at a better time for myself and Lisa. Will definitely be sure to go through this before we launch. I plan to release my listbuilding WSO tomorrow, so perfect timing. All I have left to do is the testing of the JVZoo buttons and making sure it works with my script. I know from a test release I did to my own list that the rest of the stuff works, and I’m hosting the images and video on S3 so shouldn’t be any unexpected bills. This is a great guide for people launching a product. Also this will be a great help for my new product. #13 Talk trash on Voxer. Useful post and one which will come in handy for the future. Thanks for the offer. Have had few technical problems with getting blog launched so had to delay slightly ( damn gremlins 🙂 . Is there any other site I can upload it to? Hey John, Excellent Checklist! I’m permanently affixing this somewhere on my desk for reference! Good timing too! as I’m currently preparing for my WSO launch at the end of October. Thanks for kicking me into gear, I appreciate the advice! Excellent information! Thanks John, I shall be printing that out and sticking it on my wall. I am just in the process of creating my first product and I probably wouldn’t have even checked everything works. Although it is the most obvious thing to do, it could quite easily be over looked when you are busy checking every thing else. Thanks for the handy tips for Launching. I can testify that if these steps are not followed then you will more than likely end up with a failed Launch. I recently made the big mistake of launching a product on a Major USA holiday, amplified by a second mistake of not checking that the affiliate links worked correctly. This is a very concise plan from someone that obviously has the experience under his belt!! Top notch advise as always. Can’t begin to tell you how much I appreciate you and the service yo provide. It means so much to the people who are struggling to get started. Hey John I came accross something I didnt do in my paypal account when someone bout my WSO last night. It was the multi currency accepting option, to basically instant accept it. Anyways sorted now and I have had a purchase trhis morning and they got their item straight away without having pending in paypal. I also watch for bandwidth and am thinking of going to account with unlimited. I had to upgrade my HostGator reseller account bandwidth a couple of times when I was mailing out a squeeze page the other week as got lot of hits. Anyways nice one on the tips mate, something we all need to bear in mind. This post has opened up an area I had not really considered fully, thank you for sharing your experience with us. It would appear I have a lot more checking to do than I thought. Could this be WHY your blog is top shelf and popular…MMM I think so…*QUALITY* CONTENT sums it all up this is great…me thinks you could ADD MORE in this content at a later date and create a FREE report…warts n all….I wonder? Anyway…this is now my checklist for when my time comes with the N.A.P….Next Level…membership site…thanks for the massive heads up on this…and I know countless other people and even *successful* IM’s WILL benefit from this greatly also…thanks for this John….Ed. A.K.A John Edwards. I shared the link to this page again today. A life saver…just like the candy!